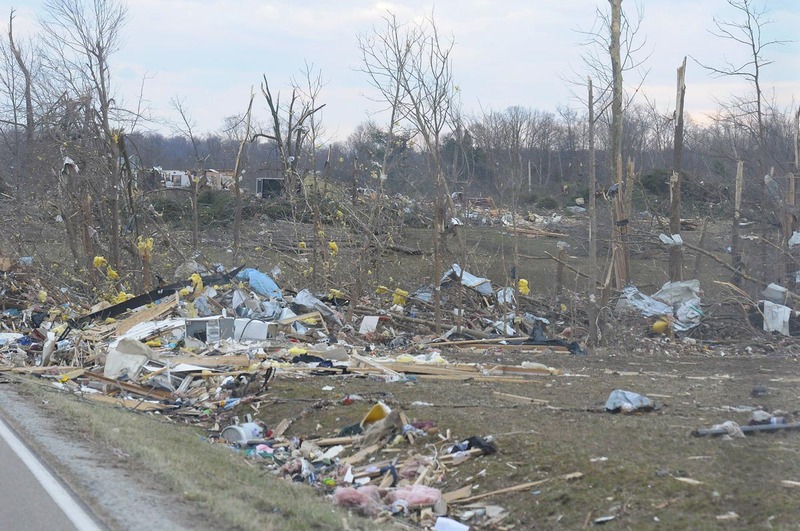 One more…this is the Henryville Tornado, my sister lives in this small Southern Indiana Town, although she escaped without any damage many people on this March day did not !! The storm moved just south of us here in Madison but as I was picking my son up from school that day we were able to witness the super cell above it and also witnessed the debris falling all around us as the storm churned to our south. It has been interesting going back and viewing these videos and reliving the memories of that stormy March day and of April 3 1974 as well. Hope you find this educational and it how serious these storms can be. Thanks for stopping by and taking a look !! 19,000 people fit into the new Barclays Center to see Jay-Z perform. This blog was viewed about 86,000 times in 2012. If it were a concert at the Barclays Center, it would take about 5 sold-out performances for that many people to see it. As I sit here looking thru the images of a beautiful little two week old newborn girl that I just shot tonight I couldn’t help but feel guilty about the events of the last few days around my hometown of Madison Indiana. Watching the parents of the little girl and the joy of their firstborn child in their arms was a wonderful sight,after all the chaos and tragedy people in our area have witnessed it was great to see something beautiful for a change, but still after returning home and watching the news and then after my trek this past weekend thru the war zone nature brought to Southern Indiana I still couldn’t escape the feeling of guilt of making it thru unscathed while so many suffered…I don’t know if that makes sense but thats kinda the feeling I have now. 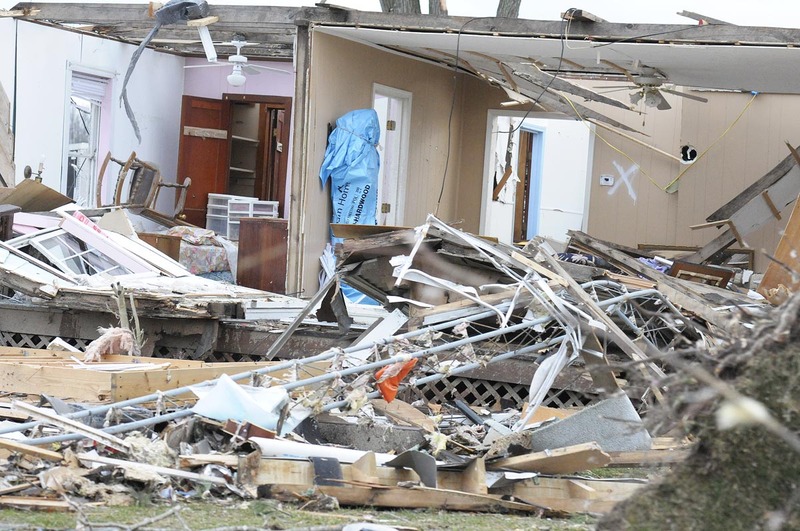 I decided,with a lot of trepidation, to travel the path of the storm as best I could to my sisters house in Henryville. I knew my sister had survived the storm with little damage(her daughter wasn’t quite as lucky but they weren’t hurt) I also took my camera…not because I wanted to but because I was pulled by some macabre sense to record history or any other reason I could justify to myself why I should be photographing someone else’s misery. From the time I arrived in the Chelsea you could tell that all the horrific pics that we had seen in the media coverage didn’t give you a scale of the true carnage that one of these monster storms can do. One of the first things that stood out when we got there was looking out into the vast cornfields that surround the southwestern part of our county were actually scarred by the cyclonic winds, I mean like a giant bulldozer came thru and took what looks like the first few inches of soil off the fields, you can actually follow the track of the storm . This is a very rural area, mostly trees and fields, the force of the storm turned huge stands of decades old hardwood trees into a landscape of anarchy and mystery. While peering into the crushed stands of trees one could only wonder why these stand of trees were all laying flat in one direction and then just a few feet away another huge stand would be flattened into another direction, the mysteries of these super storms never cease to amaze me. It was at this juncture that we came across some of the first property damage, the first house had a roof torn off and then after traveling a few more yards it was like a bomb had went off, two or three homes had been completely wiped off their foundations and lay in piles of debris a few hundred yards downwind form the storms path, anything left standing was covered in corn husks and sheetmetal like some kinda of a strange art exhibit. 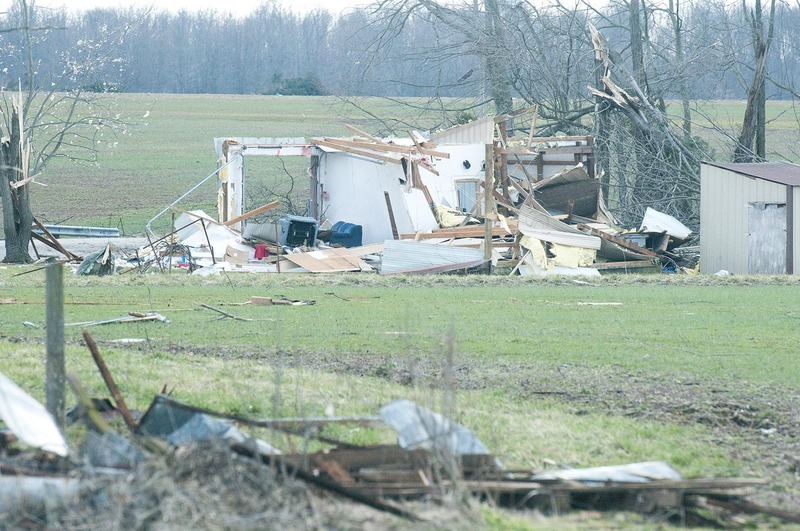 It was in this area that four lives were lost in our county, more were actually killed here then in Henryville that had so much more damage and a much larger population density, just another one of the many mysteries that are associated with these powerful storms. I continued the drive to my sisters house down what is called Nabb Road, what was left of it, at this point it seems the super storm cuts it’s path of destruction right down the middle of this highway destroying everything on both sides of the road. It was here that most of the images I captured came from, we weren’t just seeing the destruction we were driving right thru it !! As I shot frame after frame along this Road of Hell I became more and more uncomfortable, I watched the inhabitants of this tragedy picking thru what was left of their life’s and here I was trolling around in my SUV like some kinda of photo journalist. At this point the urge to stay and shoot was overtaken by the feeling of guilt and my need to find y sister and her family and make sure she was alright. After traveling a few more miles we drove by the small town of Marysville, another small town nearly wiped from the map, this time we slowly drove past I never raised my camera we never said a word. Most of the roads leading into Henryville were closed and protected by State Police or the National Guard but I did know a way into close to where my sister lived, we found our way to her drive way,with house in tack I looked into the doors and windows of her house and not finding anyone home, knowing that she wasn’t hurt I figured she was probably out helping someone else in her community, which she was, so we decided to head back home. 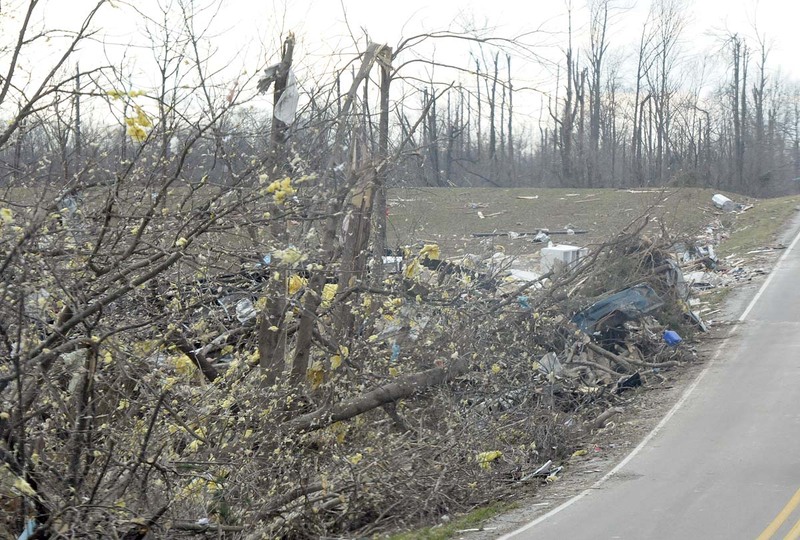 We choose another route home not wanting to witness the destruction again, just driving thru the path of the Tornado was devastating enough now can you imagine living thru it. Typically when I shoot I may knock off 500 or 600 images, on this day I could only shoot 167 and out of that I will only share a few the rest will stay here on my hard-drive, there has been enough of these survivors misery shared with the public and this is all of it I am going to share. Usually when I post to this blog it’s about natures beauty, but today we will talk about the ugly and powerful side of Nature. 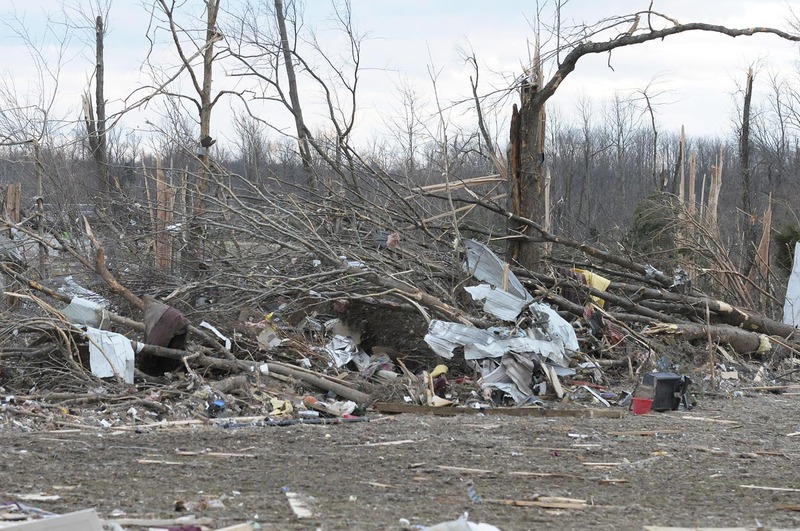 Late this afternoon a probable F4 Tornado cut a path of destruction across southern Indiana, beginning near Palmyra Indiana then slashing thru the Indiana countryside before it crossed the Ohio River near Madison and took it’s destruction into Trimble County Kentucky before it dissipated. 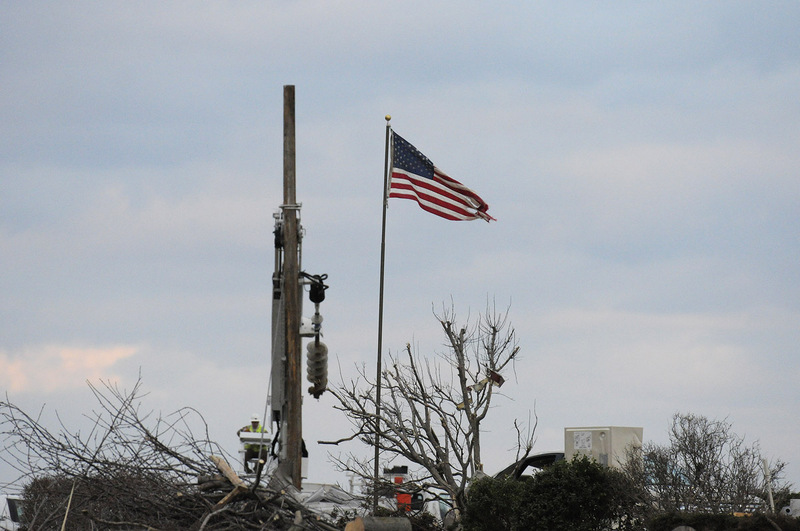 So far the storm has left 4 dead in our county, three to county to our west and two more from a storm to our north with the death toll expected to rise. This was horrible day for the surrounding area and my heart and prayers go out for the ones who suffered the most thru this disaster. What was the strangest part of the day for me was the all of the eerie parallels with the April 3 1974 outbreak that devastated this area as well. For starters I remember my father picking me up from school just as the storm was bearing down on the area as I did my son today and we were about the same age as well. The storm began it’s path of destruction in Palmyra as this one did as well, the storm also moved thru Chelsea doing damage just like today. The big difference was that today’s storm kept traveling east into Kentucky but in 74 it turned farther Northeast making its way to Hanover and Madison doing horrific damage. After picking my son up from school we weren’t sure where to go for cover or to escape, we traveled around the Madison hilltop looking for a vantage point to view the storm, I found a place to pull off and observe the rotating supercell that was moving towards our area. i saw that storm was traveling east into Kentucky and then began our trek home, at this point the most surreal thing I ever witnessed took place as were driving thru North Madison I saw what looked like pink balloons floating down our of the sky, quickly I knew what we were seeing was insulation debris being thrown out of the top of the storm and onto the round. But we saw next was even more astounding what looked big sheets of paper floating from the sky, but as they grew close and began falling faster we realized that this paper was sheet metal and plywood and big chunks of at that. We actually came across one so big that it blocked the road and people got out of the car in front of us to move out of the way !! Finally making our way home and making sure my wife who works at the local Hospital was alright we then learn the grim news that Henryville Indiana had been nearly destroyed by the same Tornado, Henryville happens to be the home of my sister and her kids and for over an hour the news wasn’t good and we began to fear the worse. But after countless communication problems we were able to find out that all family members were accounted for and healthy. 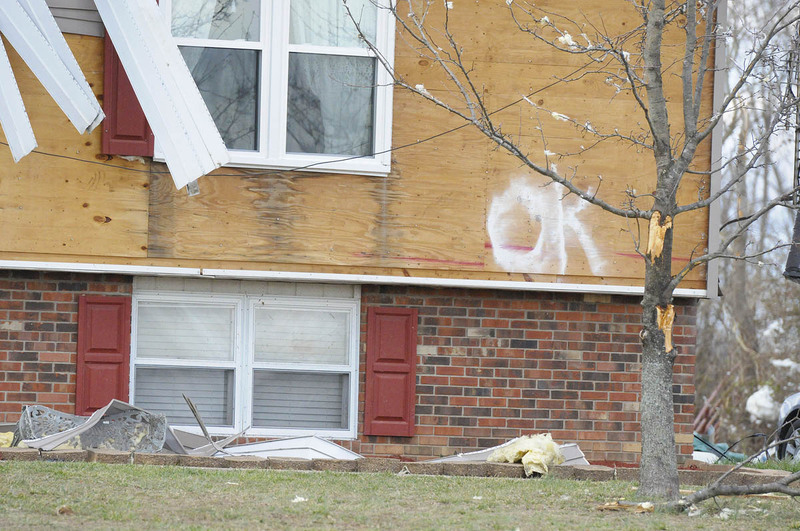 But my nieces newly bought home had significant damage but they were not there at the time so they were okay. So after 40 years a very strong Tornado misses me to north by a couple of miles and now to south by a few, and God willing there won’t be a third. the other thing about today was during this whole ordeal all my camera equipment was back at my studio and not once did I even think about going back and getting it…I guess there were a few things more important on my mind. If I can get this posted I do have few videos I found of the storms that other people have posted if I can get them to work !! With all the weddings and portrait shots I have been doing most of the summer it was great to finally get out and shoot something in the natural world for a change. Now I know that this shot and the praying mantis in the post before weren’t exactly high in the Great Smoky Mountains but for now it was wonderful just to get outside and shoot something a little different !! 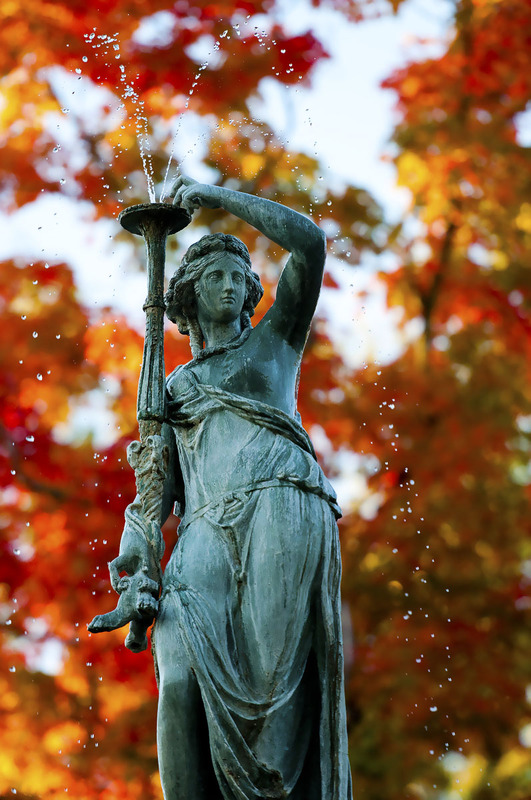 I couldn’t resist about the one thousandth shot of the Madison Broadway Fountain, but this time I chose to to isolate the lovely lady on the top against the beautiful fall foliage that is beginning to grace Southern Indiana. I really liked how the beautiful turquoise color of the statue contrasted so well against the vivid fall colors, and the water droplets added a neat touch as well. Once again I will be doing some family shots this weekend but I think I might try to sneak in a few shots of the beautiful fall colors and whatever else I might stumble across, thanks again for stopping by and for best viewing click on the image for the larger size !! Taking a break from my wildflower images I thought I might now share some work from a recent trip to the Great Smoky Mountain National Park. 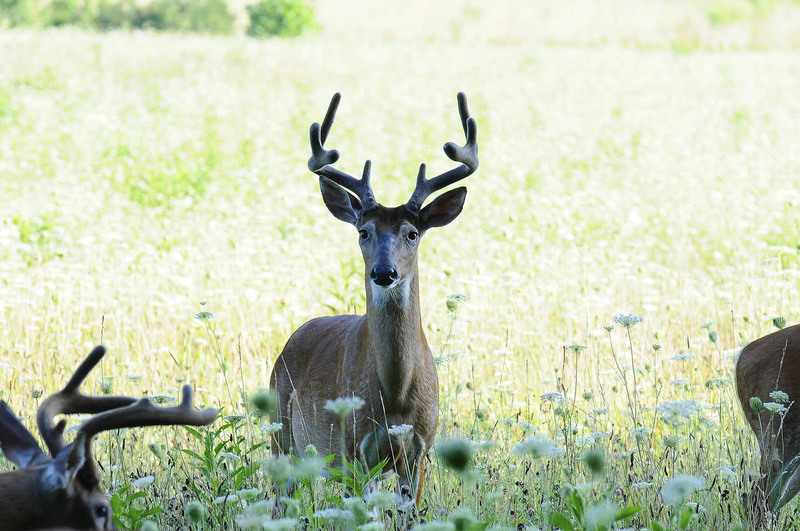 Most of my time was spent with visiting family and friends but I did manage to get away for a few shots in Cades Cove one morning and was able to come away with some pretty nice pics of a bachelor group of Whitetail bucks with their antlers still covered in velvet. Cades Cove is an amazing place in the Park because of it’s size and geographic isolation, the animals have an absolute run of the place with no basic threat from human activities except for being fed by the random tourists who doesn’t understand how much damage they can do to the animal, but that is for another time. While driving thru the Cove one morning I came across a group of about of about 5-6 very large Whitetails that were very amazing to watch feed and just mill about without much interest in the human activity that was going on around them, they showed no fear and actually came so close that my zoom lens almost became a hindrance instead of helping, but it still came in handy anyway !! I was also lucky enough to have photographed quite a few bears on this trip as well, it’s funny that when you usually see bears you have to pursue them for a shot (which is a big no-no) but on this trip they seemed to be pursuing me instead !! All in all it was great trip and I was able to get quite a few shots of the local wildlife hopefully I can share them with you very soon, thanks for stopping by and taking a look !! Click on the image for the larger version ! !